E-cigarettes has become increasingly popular among today’s teens. Companies like Juul are producing E-cigarettes that come in many flavors, and that are less harmful than cigarettes. But what are the drawbacks? In the last episode of a series with addiction specialist Dr. Jennifer Farrell, Dr. Daniel Amen dives into the subject of vaping to determine the effects it has on teens and adults alike. Dr Jennifer Farrell:	I'm so happy to be here again. Dr Daniel Amen:	... and having so much fun. Today we're going to talk about smoking cigarettes versus vaping cigarettes. A new study found that e-cigarette use can do more harm than good by substantially increasing the number of adolescents and young adults who eventually become cigarette smokers, be only marginally decrease the number of adult cigarette smokers who quit. So, vaping. That was not even a term when I was doing my psychiatric residence. Dr Jennifer Farrell:	Right. I mean, this is relatively new, and we've been scrambling to get data on this for years. I go to addiction medicine conferences all the time, and so we're trying to get data. It's so new it's hard to get long-term data on this. So, recently it seems that the data's going in two directions. The study that you're referring to is looking at the population as a whole: What is e-cigarettes doing to it? As a whole, e-cigarettes are actually, instead of decreasing smoking, overall increasing, because of its effect on adolescents and young adults. They are more likely to pick up cigarette smoking starting with vaping. There is a category of adults who've been smoking for years who can use vaping as a harm reduction model. Some will get on vaping and then slowly decrease the amount of nicotine they have in their cartridges in an attempt to get off. Some people are addicted to the nicotine, but it's thought to be safer than smoking a cigarette. Dr Daniel Amen:	Because you're not inhaling as many poisons. Dr Daniel Amen:	It's probably not good. Dr Jennifer Farrell:	... probably safer than the cigarette, the tobacco, itself. Dr Daniel Amen:	Isn't it true that heating it up and inhaling heated air is damaging the very sensitive lung tissue and producing oxidation in your lungs? Dr Jennifer Farrell:	Well, it can. I mean, anything that you smoke is going to be heated, right? So, the cigarette's burning, the pipes, the everything is having that same effect. Certainly, smoking cessation is the safest thing to do. The problem is, with the young people it's become cool, and so it's hard for us old people to fight the cool. Dr Daniel Amen:	I'm glad you put yourself in the same category as me, even though I'm probably 20 years older than you. Dr Jennifer Farrell:	Good. Well, we'll remind everyone that you're 20 years older than me. But these kids, they have these flavored ones, and they're actually put in these little things called Juuls, and they have all these names, and they're colorful, and they're flavored. Dr Daniel Amen:	Describe to everybody what Juuls ... What is that? Dr Jennifer Farrell:	They have all these different vaping pipes, or vapes, or whatever you call them, come in different shapes and sizes. They look like candy. They're in multiple colors. I was just shocked to see this weekend, they actually have a small cartridge that looks like a USB port. You plug it into the side of your computer, so your teacher in school thinks you just have a USB port in there, and you're actually charging it. Then you can go out and vape in between. They're flavored. They're colored. So, kids are picking up on this, and they tell people, "Oh, no, it's just flavors." They all contain nicotine, and so they're getting exposed and they're getting addicted when their brains are young, when they can't really make the decisions that adults make, and they can't get off of it. Dr Daniel Amen:	Vaping can be nicotine, can also be caffeine. I did a show with Dr. Oz, where we actually did a quantitative EEG on him before and then while he was vaping caffeine. Dr Jennifer Farrell:	How interesting. Dr Daniel Amen:	It was really interesting. His visual cortex lit up, and his thoughtful cortex went down. So, as I've described it to him, "You'll see the cute assistant at work, and you're much more likely to make a bad decision with her that could cost you a lot of money." Gosh, there's just so many ways to poison ourselves. Dr Jennifer Farrell:	This is true. Dr Jennifer Farrell:	No. It actually increased the rates of substance use, and they didn't want to talk about that, because that was bad PR, but some studies showed, actually, increased rates of substance use for kids who had gone through the DARE program compared to their peers who hadn't. When we look at young people who smoke, we're looking at peers and what their peers are doing, and we're looking at a group who frequently want to feel that they're in opposition to authority or their parents. They're kind of independent, making their own roles. So, addressing those things is key. How do we get our kids in with healthy peers? How do we encourage healthy peer networks? Then, when our kids feel that they need to rebel, how do we give them decision-making abilities that don't involve drugs, or nicotine, or too much caffeine? So, having conversations with them is very helpful. While we're on that line of thinking, there actually are a few websites that could be helpful if anyone has kids who are struggling with using these vapes or cigarette smoking. One is called ... The website is The84.org, and it's the number 84: The84.org. This is a teen-driven website that's an anti-smoking ... and so it's young people reaching out to young people. So, that's a great resource. There's also an app called quitSTART, and it's a free app that you can download to a smartphone, and it's geared towards teens. So, there are some specific resources. Then NIDA also has ... The National Institute on Drug Abuse has some resources for teens as well who want to quit. Prevention is the best. Dr Daniel Amen:	We also have our high school course, Brain Thrive by 25, which actually we give away to people. It's 12 weeks, 24 hours. You can get three college units of credit. 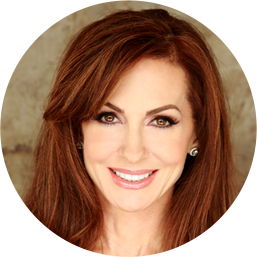 Dr Daniel Amen:	There's no charge for that. I mean, again, three college units of credit. We had an independent group from us study it: decreased drug, alcohol, and tobacco use, decreased depression, and improved self-esteem, because we believe it should start with falling in love with your brain and then asking yourself, "Is this good for my brain or bad for it?" So, not telling kids, "Bad, bad, bad. You shouldn't do it," but rather, "Your brain's involved in everything you do: how you think, how you feel, how you act. It's your brain that gets you a date. It's your brain that gets you into college. It's your brain that makes money. Your brain gets you independence with your parents or makes them want to watch your every move. It's your brain." Then we show them healthy scans surrounded by drug-affected scans, and we just ask the simple question: Which brain do you want? Then they really see it's not about, "Don't do this. Don't do this. Don't do that." It's, "What do you want?" Will this get you what you want? Dr Jennifer Farrell:	Exactly. There's so much in life to be excited about. I talk to adolescents and college students who come to see me all the time about how exciting this stage in life really is. There's a whole world of possibilities. Smoking can be very limiting to some people. It cuts down on their brain power. People who smoke and who smell like smoke don't have the same business opportunities. It changes people's social networking. Life can be fun. There's a lot of opportunity. There's a lot of fun to be had. So, I think young people really need to be encouraged to hold onto their health so they can explore all these fun areas in life. 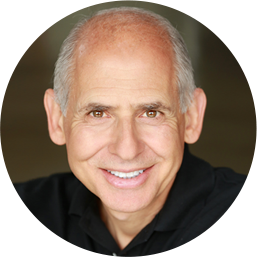 Dr Daniel Amen:	One of my favorite stories about this is ... There's a world-famous actress, music person, singer, and she and I became friends a long time ago, and she just went off the deep end smoking pot like crazy. We published a study about a year and a half ago on a thousand pot smokers, showing every area of their brain was lower. So, I sent her this study. She texted me back, and she said, "No way." I texted her back, "Way." Absolutely true. She stopped, and she actually went public with stopping. Her career's just done so much better since she stopped. Last summer I spoke at the University of Massachusetts to want 7,000 teenagers and their parents. She gave me permission to show the story. I texted her right before my talk. I said, "Are you having more fun with your good habits or the bad ones?" She texted me right back, and she goes, "Ha, good by a billion." Dr Jennifer Farrell:	Right, and depression. Dr Jennifer Farrell:	Oh, absolutely. People come in to us because they're devastated. People don't come in, with years of heroin use, happy. They come in because they're absolutely miserable. The addiction takes over. Nicotine takes over. You aren't in control of your smoking. The smoking controls you, and it dictates how long you're willing to sit on an airplane, where you're willing to go. I've had patients on cannabis, and they said, "Oh, my whole family's going to Mexico, but I can't go, because I can't take my weed." "Okay. Let's have a discussion about this." Dr Daniel Amen:	It limits them. Dr Daniel Amen:	... smoking dope or doing mushrooms? Dr Daniel Amen:	What do you say? Dr Jennifer Farrell:	Some people can be creative, and that's great, but a lot of times people think they're being creative. So, I say, "Okay, if you're going to work when you're high, then I want you to sit down when you aren't, and let's go over that work that you did. Let's look at that paper you wrote. Let's listen to that song you wrote. Let's watch a video clip you produced for your theater class. Let's take a look at that and see." A lot of times when people are high, they feel like they're geniuses, and when they sit down and look at it, they realize it's sloppy, they're not on point, and they're not really conveying the best of themselves. Dr Daniel Amen:	Yeah. I know a lot of my ADD patients, they say, "Oh, I don't ever want to take medicine, because I don't want to be someone different." My response is, "Well, don't you want to be who you are when your brain works right?" The problem ... It's true with some psychiatric meds and a lot of the substances of abuse ... is they change your brain in an insidious way in that they will make it so they will require your brain to need that substance in order for you to feel normal. Right? Dr Daniel Amen:	So, after people get over the high and they get addicted, they end up chasing not the high; they end up chasing feeling normal. Dr Jennifer Farrell:	Normal, exactly. What you can see with SPECT imaging, when, let's say cannabis ... People say, "Oh, it's so innocuous. There's nothing wrong with cannabis." Wrong. When you look at the scans over time, what do you see? Those orbital frontal cortex, that frontal lobe, is shutting down. So, yeah, you may be more creative today. But guess what? Long-term use, you lose motivation. You become more lethargic. You lose your drive. They used to call it dope. Now heroin's dope. It gets very confusing keeping up with all of this. Over time it actually erodes that part of the brain that has to do with planning, motivation, judgment, and so over time it really does a lot more harm than good. Dr Daniel Amen:	Well, it's been such a joy to have you with us. Dr Jennifer Farrell:	Thanks for having me. Dr Daniel Amen:	We'll have you back as always. Stay with us. You're listening to the Brain Warrior's Way. Thank you for listening to the Brain Warrior's Way Podcast. 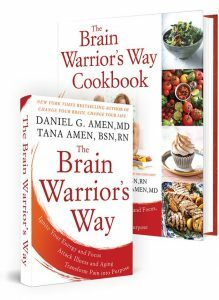 Go to iTunes and leave a review, and you'll automatically be entered into a drawing to get a free, signed copy of the Brain Warrior's Way and the Brain Warrior's Way Cookbook we give away every month.